St. Martin/St. Maarten. One magnificent island. In 1648, one Frenchman and one Dutchman stood back to back at one end of the island and set off walking in opposite directions. 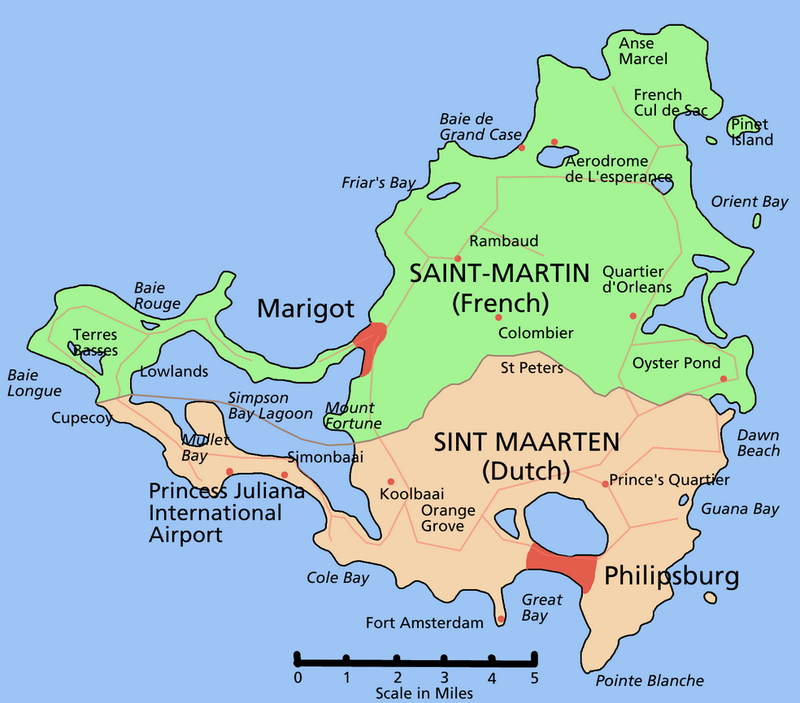 The point where they met up at the other end of the island concluded the line of demarcation between Saint-Martin and Sint Maarten. The uneven division was not without controversy. The Dutch accused the Frenchman, who had walked farther, of running. The French explained away the Dutchman’s slower gate on his choice of gin over wine to hydrate. Nevertheless, the boundary was official, and the island is still divided roughly 61/39. shallows and snorkeling trails for kids, scuba dive sites, paddle board spots and miles of powder white sand for sunning. The French side has an air of Caribbean refinement, France with a dash of carefree abandon. 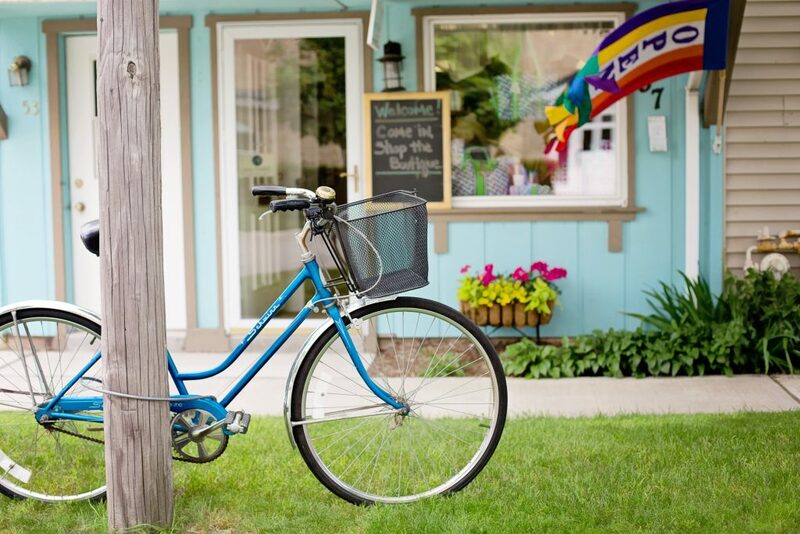 Shopkeepers choose their merchandise with great care, galleries represent exceptional artists, and island living has attracted many superb French chefs. The Dutch side is more multi-cultural and more congested. There are restaurants of every description, from Caribbean barbecue to Indonesian buffet. The duty-free shops are busy, you can roll the dice at 13 different casinos, and entertainment lasts until dawn. On a luxury yacht charter in St. Martin/St. Maarten, you can anchor off the French side in the afternoon and off the Dutch side at night. 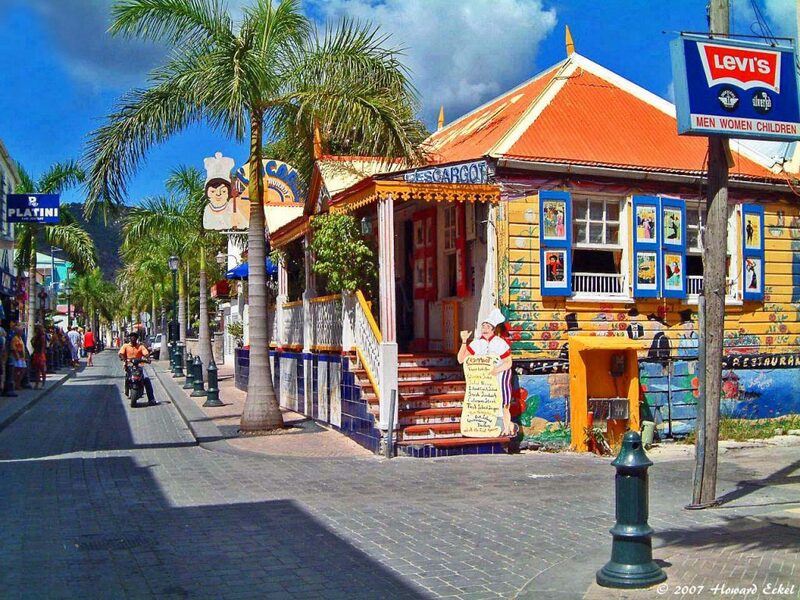 Spend the morning in Philipsburg’s alleys of gingerbread architecture and duty-free shops. Then lunch in Grand Case, the French culinary capital. Spend the afternoon sunning and swimming at a family friendly beach or a clothing optional beach. St. Martin/St. Maarten is tailor-made for everyone. St. Martin/St. Maarten is easy to reach with many scheduled flights to Princess Juliana International Airport, IATA SXM. 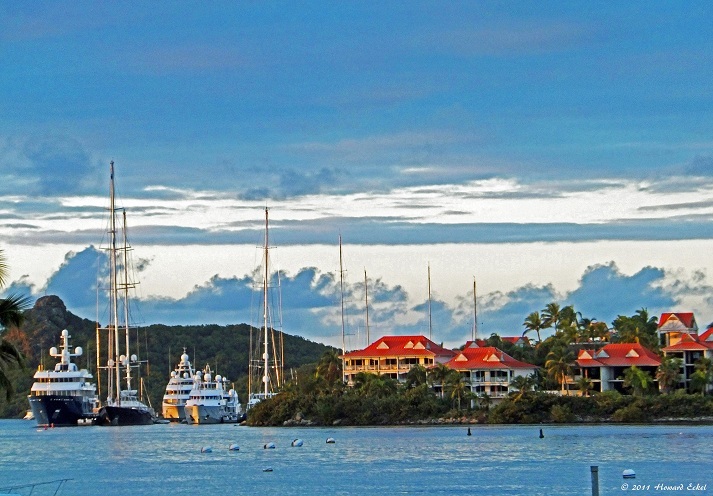 The island is a favorite port of embarkation for private charter yachts with itineraries that include the nearby Leeward islands. St. Barth’s has been a superyacht mecca for decades, especially over the winter holidays when celebrities yacht hop about the congested harbor. This picturesque island is very French, from runway fashion boutiques to fine French dining. There are excellent beaches for sunning, swimming and snorkeling, state-of-the-art spas for pampering, even a challenging golf course. St Kitts and Nevis, two islands just two miles apart. 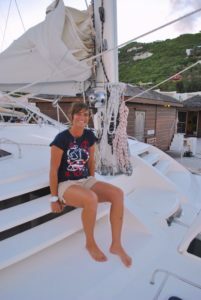 Yacht charter guests eager to have an authentic Caribbean island experience will find it here. Long-dormant volcanoes wrapped in rain forests, uncrowded beaches, history, culture and nice locals with a measure of ex-pat eccentrics in the mix. Be on deck for the approach to St. Kitts as imposing Fort Brimstone, a UNESCO World Heritage site, looms large. Antigua is British, polite and civilized. The hilly countryside is dotted with diminutive churches of England. The harbors, especially Nelson’s Dockyard, are the stuff of legends; heroes, pirates, privateers and political machinations. 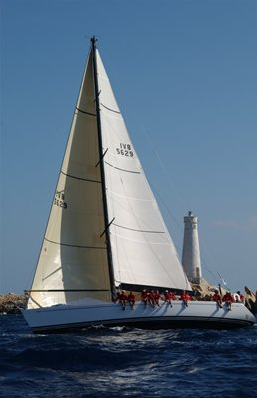 Antigua hosts several world-class regattas, including Sailing Week and Classic Yacht Regatta. St. Eustatius (Statia) and Saba, Dutch territories, have scattered settlements, fabulous dive sites, eco tours, hiking trails and history. Anguilla is properly British and casually fun, altogether a most delightful cocktail. A deadly reef that claimed many ships, offers exciting dive and snorkel areas, and shallows popular for fly fishing. 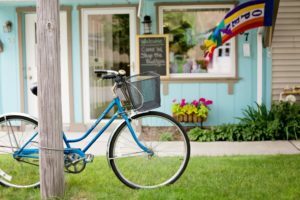 Biking to the bird rookeries is a favorite land excursion. There are also a couple of great Caribbean bars to hang out in and brag about something, perhaps a hole-in-one at the new golf course and marina. 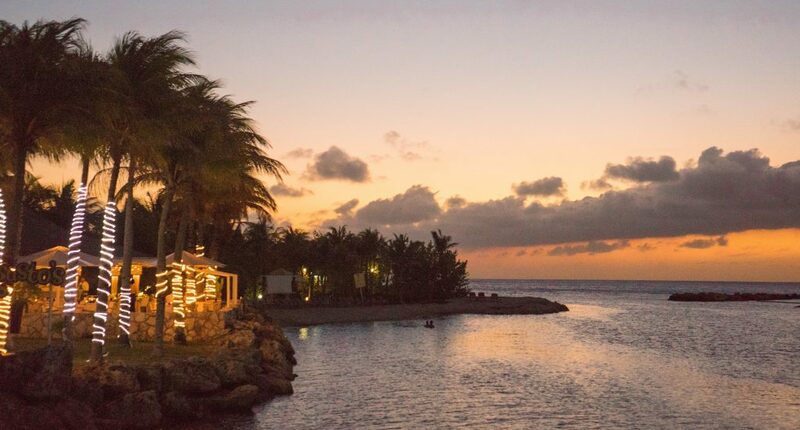 Upon your return to St. Martin, if you don’t have time for island exploration, spend your final moments at the Sunset Bar & Grill, right at the end of the runway of Princess Juliana International Airport. It could blow you away. St. Martin’s Lotterie Farm: Go Wild!